As I mentioned on RNZ’s The Panel this week, it’s six months since my Mum passed away. She was 78. With Dad passing away four years ago, I guess that makes me an orphan. I had gotten up early on a Sunday morning when I noticed there was a message on our phone. It was the rest home with “a bit of bad news, sorry”. 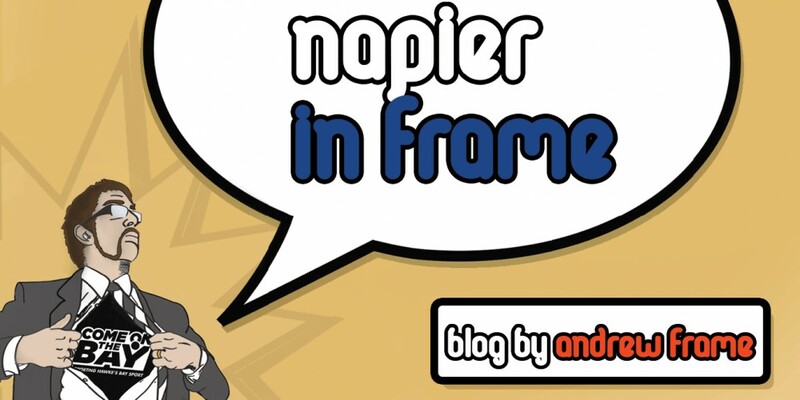 When I got back to the bedroom and, shaking a little and with tears in my eyes, told my wife and our daughter, who had woken me with her climbing into the bed, “Mum’s died” little Miss Napierinframe immediately curled up in a ball and started to cry. I put my tears aside as we calmed and hugged her and a general numbness settled over me. I’m not sure that feeling has completely left all this time later. While her cause of death is listed as “dementia”, I feel there was more to it. While it wasn’t diagnosed for years, Mum had lived with depression for some time. She had some tough times in her life, but the last few years had been especially hard. While my Mum clinically died early on a Sunday morning, she had stopped “living” many years ago. The youngest of three children, from what Mum told us it sounded like she was the runt of the litter – or at least treated like it. She said she was born with a tongue tie. making her very early life a harder than usual and she was apparently an unhappy baby – This was in the early 1940’s and medical techniques weren’t up modern levels, so it wasn’t until a year or so later that it was operated on and the problem cured. She told us later in life she overheard her mum telling her sister that she would “never forgive (Mum) for what she put her through” as a baby. That’s pretty cold and crappy. The relationship she had with her family, particularly her sister, made me glad I was an only chid. We would visit them, or they would visit us. It would all seem to start off well, but almost always end in tears. My Aunt always seemed to act or feel superior to Mum, and Mum always felt inferior. Visits with her brother, my uncle, and his family went far better. Reading some of the letters he sent her he certainly seemed to care about her far more than the others and was concerned about how she was treated and how that made her feel, but I fear the damage was already done. My Granddad sounded nice. He was kind and supportive of Mum, but he died before I was born, so I never got to know or meet him. Mum was born in Napier, but her family moved up to Gisborne for Granddad’s work where she stayed until leaving school. She moved back to Napier and stayed with her Aunties/Uncles which is where she met my dad, who was living down the road from one of her relatives. During this time she worked as a receptionist for the Ministry of Transport and then at a local GP’s (Dr Ellum) practice. Working for a doctor seemed to have some sort of long-lasting effect on Mum, as she would develop an almost pathological fear of doctors and hospitals later in life. Mum’s parents moved back down here too eventually. They lived in the big, green house with the long, slanted roof you have probably absent-mindedly gazed at while stopped at the Kennedy Road / Georges Drive lights in Marewa if you’re driving into town along Kennedy Road. After dating for a mere 14 years Mum and Dad were married and I came along about a year later. Mum dedicated herself to being a housewife. She was from the old school era where the woman stayed at home, looked after the house and child(ren), did all the cooking and cleaning etc. Promoting such a lifestyle would be heresy to many now, but Mum seemed to like it. I am probably one of the only teenagers in the history of the world to be told off for doing my own washing! One day, trying to be independent while Mum and Dad where out, I bunged my dirty clothes in the washing machine, chucked in the correct amount of Persil and hit “Start”. Nothing exploded, no one was harmed and when the wash cycle finished I put them out on the line to dry. When Mum came home and saw there was washing on the line that she hadn’t done she went spare at me! Apparently the washing was HER territory and I had done it all wrong. Mum had a particular (peculiar) method that involved two to three rinse cycles for each wash. To be fair, the clothes never stunk of washing powder like the ones I washed did, but I felt the repetition wasted time, water and electricity. Mum always seemed quite insular. She never had many friends. Most of the people we went to visit were relatives – usually Great Aunts and the like. This could, relatives being relatives, be a bit of a hit-and-miss affair and often open old wounds for Mum. She had few close friends, I remember one passed away some time ago when the word “cancer” was still quite foreign. She never had a drivers licence or drove, so was constricted in mobility until Dad came home from work. While the on-going emotional pain at how she was treated by her relatives was evident for quite some time, Dad and I really started to worry about Mum the first time she had to go down to Lower Hutt to have some skin cancers removed around 2005. She was petrified of going to the doctor which, as noted before, was a bit odd – having worked as a receptionist for one for many years – She had become a big fan of homeopathy and trying alternative cures that avoided the medical system wherever possible. So it was a struggle to get her to agree to be taken down to Lower Hutt Hospital, be admitted for surgery to have several reasonably sized, but benign cancers removed and spend a few days in the ward recovering. She was convinced she was never going to get out of the hospital, or be stuck in there for weeks. We thought she might have been going senile and spent a fair bit of time at her bedside trying to convince her everything was fine and we would be home soon. We ended up being down there for just under a week – only a day longer than expected and she seemed to recover quickly. There were another couple trips down to Lower Hutt in the following years that we made without major event or fanfare. While I too had to go down to Lower Hutt for similar procedures and didn’t mind the scars – I already considered myself ugly, so it could only get better – I think Mum never quite got over how the skin cancers or surgery affected her appearance. I think it is because she was of an era where appearance probably mattered more, so the more BCCs she had removed, the more she removed herself from public view. She became very hermitised. It was a struggle for Dad to get her out of the house. When their granddaughter was born, Dad would find any excuse to drop by and see his “Little Angel”, while mum would make any excuse not to. When I came to take her out to appointments, events, or even to the shops it was always “too cold”, or “too hot”, or “too wet”, or she “just didn’t feel up to it”. I lost count of how many birthday parties or other special times she missed out on. It ruined the day for me on several occasions, because these were supposed to be “family events”. This really annoyed both Dad and myself. It annoyed me that Mum wouldn’t (or couldn’t?) motivate herself enough to get out and do things. It also annoyed me that I couldn’t understand how or why. It put a lot of pressure on Dad, too, whose health hadn’t been the best at the time either. When Dad had ended up in the Intensive Care Unit of Hawke’s Bay Hospital with pneumonia, it had been all a bit too much for Mum. I came over to take her out to see Dad in the hospital (he was fine and recovering in a ward by then) and ended up taking her out there to the Emergency Department, too. She said she was sorry, was fine now and would never do that again, despite Dad telling me later she had tried it at least two other times. I can’t remember how I felt, but I do remember leaving her in an ED cubicle talking with the Psych staff, while I went to see Dad and pretended that Mum was just at home and everything was fine. I feared the shock of such a thing might finish him off and I didn’t want to lose them both. But I would, all too soon. When Dad died about a year later I stayed with Mum for a few nights to make sure she was as OK as she could be and visited as often as I could, but with a young family this was increasingly hard. Aside from the care workers who visited (and eventually all got annoyed at how Mum wouldn’t let them help around the house) and visits from her closest long-time friend (the two of them were in McHardy Maternity Home together just before it closed, with her friend’s twins born the day after me), Mum’s isolation and hermitisation only worsened – she seldom left her bedroom – preferring to sleep, or hide away her days. I talked to this friend later on and she admitted that in the 40 years they knew each other she had never seem more of Mum and Dad’s house than the kitchen – Where Mum entertained her guests, with the hallway door usually closed tightly behind her. It became blatantly clear Mum wasn’t looking after herself and after a long fight I eventually got her into a rest home and proper care. Cleaning out the family home after this posed its own logistical, financial and emotional challenges. And when I ended up in the Coronary Care Unit of Hawke’s Bay Hospital, awaiting transfer to Wellington Hospital’s Heart Unit, I called Mum to tell her what was going on. But I played the whole thing down – Worried how she would react, or carry on if I didn’t make it back. I don’t know what of, or why, but Mum appeared to live in fear for the last few years of her life. She would, on occasions, constantly mutter ”I’m absolutely terrified”, or something similar to herself. I think it was supposed to be an inner monologue but, as she had lost a fair bit of her hearing, she was unaware she was saying it loud enough for me to hear when I sat near her. When I asked what she was afraid of, or what she was saying, she denied saying anything, or wouldn’t elaborate. Ultimately, Mum just gave up on living. Whether she just wanted to be with Dad again, or if it was something else, I’ll never know. Even in the rest home she mainly just kept to her room. Getting her to appointments was still a struggle and she didn’t interact much with other residents. Around the time of her wedding anniversary Mum suddenly became quite ill. She recovered enough for my wife, daughter and I to have lunch with her at the rest home’s family Christmas lunch. But then she went down-hill again soon after – I thought we were going to lose her in the lead up to, if not at Christmas, but she again seemed to improve a little, before one last decline. I would go to see her every few days, but she would always be in bed asleep. The last time saw her alive I thought she looked so peaceful I didn’t want to disturb her, so I didn’t. She died a few days later. Even in death she didn’t get much of a break. A few weeks before her passing Mum’s GP called me to apologise for not being in touch more often. They hadn’t been able to find any obvious reason for Mum’s illness and sudden downturn, but would run more tests. I don’t know if they did, but by that stage it likely wouldn’t have made any difference. The day she passed away her GP was on holiday, so he couldn’t attend. It wasn’t until early afternoon that the on-call GP could get to the rest home and sign the relative documents, some 12 to 14 hours after she died. Not knowing Mum personally he sighted “Dementia” as Mum’s cause of death. When I asked about getting an autopsy or something similar to find out just what had happened to Mum, I was told her GP being on holiday meant they wouldn’t be able to get authorisation for that for another week or so. And they were confident enough it was dementia. I had to take their word for it. Mum had left strict instructions in her will for a prompt cremation, which I followed. If there was an ulterior cause, or whatever the reason for her sudden decline was, we will never know. But I DID go against one of Mum’s wishes by having a public funeral for her. She wanted to be gone and buried before anyone knew. I couldn’t stand the thought of that. Along with friends, neighbors and relations, a lady who was receptionist to the GP next door to hers all those years ago came to pay her respects and spoke fondly of Mum. I don’t think Mum realised so many people actually cared about her. They can even sometimes be confused. And depression is not uncommon in those with dementia, as the awareness of losing control of your “true” self must be overwhelming and devastating. As New Zealand’s aging population increases, this will only become a bigger health issue. While she still seemed quite lucid, I think Mum just gave up on life after my Dad died four years ago. It’s been a struggle for me to comprehend why, or how, as I got Dad’s sense of positivity or hope (“Hope” was also his middle name) which keeps driving me forward. Sadly she lost that, or possibly never had it. Whatever the actual cause of her death was, or why she was felt so tormented for so long, I just hope she’s happy wherever she is. As I sat on the tailgate of my car the morning of Mum’s death, texting and calling friends and relations to let them know of her passing I happened to look up and see two white doves fly past. The cynic in me said it was just two pigeon interlopers returning to their roosts in the giant phoenix palm tree down the road. Another part of me said “No, It’s Mum and Dad, together again and free at last”. Lifeline: Ph 0800 543 354 (available 24/7). Suicide Crisis Helpline: Ph 0508 828 865 (0508 TAUTOKO), available 24/7. Youthline: Ph 0800 376 633. Kidsline: Ph 0800 543 754 (available 24/7). Whatsup: Ph 0800 942 8787 (1pm to 11pm). Depression helpline: Ph 0800 111 757 (available 24/7). Rainbow Youth: Ph (09) 376 4155. Samaritans: Ph 0800 726 666. Lest We Forget, But Can We Forgive? My last post on Napier City Council’s disrespect of the Napier War Memorial went kind of gang-busters and even made it into the local newspaper! This morning’s edition of Hawke’s Bay’s daily paper saw Councillor Kirsten Wise expressing her deep regret at the events of the past two years. It has some eye-opening features. In a piece that’s around 770 words, the phrase “We were told” / “We were not told” appears eight times. It would appear from Councillor Wise’s account that Napier’s elected officials (and the city’s ratepayers) have been misled and misinformed for at least two years on the War Memorial issue. I still can’t get past how the words “War Memorial” did not raise some red flags amongst councillors. I won’t accept the “We didn’t know the significance” defence from a first term councillor and I CERTAINLY won’t accept it from councillors who have been in their positions for 12-18 years. And yet they voted UNANIMOUSLY (and apparently without question) in favour of the War Memorial Name, Eternal Flame and Roll of Honour’s removal. And it’s only now, TWO YEARS after the War memorial vote, that this comes to light, on the same day that NCC will vote on whether to return the War Memorial name to all or part of its site. Wrongs need to be righted, but excuses still cannot wash. It does go some way to corroborate something I have written about several times over the years – That Napier’s elected leaders appear to have been led astray by council management for some time. Were they TRULY representative of their constituents we would have heard differing opinions to council management’s press releases cut and pasted throughout local media. After controversially renewing their support for Napier City Council’s CEO last year, do they still have confidence in his, and his management team’s, performance? Does the revelation that the elected council may not have been given (or sought out) all the required and accurate information give the likes of Napier Skating Club democratic, or legal recourse in how they were treated when their SkateZone home of 60 years was demolished in favour of a council-run facility, concrete walkways and water features? While Councillor Wise doesn’t specifically name names in her criticism – that could arguably breach Napier City Council’s contentious “gagging” “Elected Members’ Code of Conduct”, it is rather clear who four “suggestion/s by some” refer to, given another recent article on the supposed “confusion” and “loss of income” reinstating the War Memorial title and elements would have on the desecrated site. If there is certainly cause for concern at the level of trust or confidence that Napier’s elected councillors can now have in their management, then can they have the same level of concern, if not more, at “alternative facts” being suggested by their mayor? I can tell you from actually taking notice, reading and listening to reactions to this whole sorry saga that Napier’s public and ratepayers have very little confidence in those currently elected and employed to manage their city. I would like to hope that today’s council meeting, to be held at HB Regional Council Chambers, Dalton St, Napier from 3pm (pop along and show your support!) will go at least some way to rectifying two years’ worth of wrongs, but I feel the repercussions will be much longer-lasting and wider-ranging. The next local body election vote is due late next year, after all. Lest we (and they) forget. Is it still burning? The Eternal Flame? Napier’s Mayor claiming the cost to ratepayers of re-rebranding the Napier War Memorial would be $142,600 is disingenuous. The facility had been the “Napier War Memorial” from its opening and dedication in 1957, until its 1995 refurbishment put the Roll of Honour and Eternal Flame inside the facility’s entrance foyer and added the word “Centre” onto the end of the title –To better indicate how it had been a multi-use facility for decades – hosting Napier social events like weddings and school balls – even the odd conference, while still maintaining its original purpose – a memorial to locals lost in conflicts around the world. So when council management decided, without any public mandate, that the War Memorial name, Roll of Honour and Eternal flame elements all needed to go from their home of almost 60 years and be replaced by the rather bland and single-themed (but “marketing friendly”) title of “Napier Conference Centre” who paid for that rebranding? The CEO’s morning tea fund? No. More like the ratepayers – none of whom had requested the change. The mayor now also claims councillors might not have had “all that information” on how returning the War Memorial name to the facility might damage it’s “marketability” and potential conference income at a recent committee meeting where restoration of the War Memorial name to all or part of the site was proposed and supported by all attending councillors, excluding the mayor. Napier’s elected representatives voted UNANIMOUSLY in favour of the decision to remove the name and sacred elements from the Napier War Memorial at a council meeting on April 6 2016. Since then several Napier councillors have admitted to not understanding the gravity of their decision, the history of the War Memorial, or the strength of public feeling that followed, despite some even having relatives commemorated on the memorial’s plaques! Were councillors provided with “all the information” they needed then, too? As for “marketability”, having the name “War Memorial” in the title of a building does not preclude it from having other uses. That would be like saying the Sydney Opera House can only host operas! I’m sure if he’d asked his recent “Big Apple” visitors, Napier’s mayor might have learned about the “War Memorial Arena” in Syracuse, New York, which just happens to be roughly the same age as Napier’s War Memorial Centre! It is not just a war memorial, but also a concert venue, hosts ice hockey, indoor football and lacrosse games, trade shows and maybe even a conference or two! In a last ditch effort to try and sway councillors at the next council meeting and naming vote on Monday April 9 (It’s being held at the Hawke’s Bay Regional Council Chambers, 159 Dalton Street Napier from 3pm If you’d like to go along) Napier City Council management even hired a marketing consultant. I wonder who footed the bill for that? The consultant said the words “War Memorial” had “little relevance to today’s highly competitive conference market”. This completely misses the point. The Marine Parade site is a War Memorial first and foremost. That’s why it was built. That’s why the Napier public’s donations for it were so forthcoming and how local and central government funding was guaranteed. That was its prime purpose for almost sixty years. This insistence by a small group of council hierarchy that the War Memorial Centre can ONLY be a commercial activity OR a community venue lacks both credibility and any form of medium to long-term memory. During those years between 1957 and 2016 the memorial and its community and commercial venue aspects have coexisted quite happily. If the conference market is suddenly so competitive, then Napier’s conference promoters just need to up their game. There are numerous ways “Napier War Memorial Centre” can be put to the forefront of Google search engine optimisation results for “Napier”, “New Zealand”, “Events” and “Conferences” while still maintaining the dignity and respect of a War Memorial. At least the Syracuse custodians have remembered the true purpose of their facility. Napier, its ratepayers, veterans and families of the fallen deserve better! None of us are supposed to be here right now. The world was supposed to end on October 7th, 2015. Which would have been bloody typical, because that was right around the time of my birthday and it would be just my luck for everything to go “KABOOM!” (or ”Whimper”?) just before I was able to open a present, or eat some of the delicious birthday cake my wife had baked for the occasion. But the world didn’t end. The cake was indeed delicious and I got a model plane I’d been after for some time, so the day was far from catastrophic. Doomsday predictions are nothing new. I remember, as an impressionable high school student in the 1990’s, being terrified that Nostradamus had predicted the end of the word would occur somewhere between Phys-Ed and Chemistry on an otherwise typical Tuesday afternoon. “The End of the World as we Know it” didn’t happen back then either, of course. Even though it actually did. Because for millions of people in millions of different ways the world as they know it DOES ACTUALLY END each day. We see, hear, or read something that changes our previous perceptions. We fall out of love. We learn we can’t have children. And sometimes numerous people’s worlds as they know it end simultaneously when someone they care about chooses to end their own world. That record, like so many lives effected by suicide, was shattered the very next year. If 380 people dying on our roads in 2017 is “Heart-breaking”, then what is 606 people taking their own lives? And then, if road crashes and the road toll command so many print and online headlines and television and radio news bulletins, then how do we justify keeping something that takes almost twice as many lives out of the headlines, media attention and public awareness? Now let me be clear – This is not a competition. The highest score doesn’t win. This is an issue in which we all lose. For those who can remember back that far – You will recall how much coverage the road toll got and how much effort went into reducing it. Television, radio and print advertising campaigns, more government funding, increased police presence and enforcement – It was everywhere. In 1995 the National Road Safety Plan was launched. Using hard-hitting, high profile advertising like those above and increased enforcement. Its aim was to reduce the road toll to 402 or less by the year 2001. The following year, 1996, New Zealand’s annual road toll was 515, the lowest number in 32 years. Since New Zealand started officially recording its suicide rate in 2008 the figure has never dropped below 500. Unlike 20 years ago, when drinking and driving had been more of an embedded cultural “norm”, today’s New Zealand public have been aware of severe deficiencies in mental health care and suicide prevention for some time and have been pushing for change. Too many people have lost love ones who thought no one cared, or no one was listening. But rather than the previous government taking notice or action on such dire figures, like in 1995, the reaction was a bit more… “closed-minded”. It appeared that only just before the 2017 general election, nine years after taking office, that mental health and suicide prevention looked set to receive more funding. But even then the two hundred and twenty four million dollars ($224,000,000) set aside for mental health services over four years paled into insignificance when compared to the almost TEN BILLION DOLLARS ($10,000,000,000) the National government were going to spend on highways over the same period. Mental health services were set to receive 0.022% of what building roads would get. Such funding would only have been made available upon re-election, of course, and no firm dates were given in the event of that happening. But, for that National government, the world as they knew it ended on October 7 2017, when Winston Peters chose to form a coalition government with the New Zealand Labour Party. In their electioneering Labour, the Greens and NZ First all campaigned to put more political influence, funding and focus into the state of New Zealand’s mental health. It is still relatively early days, politically, since the election and formation of the new government, so I could say we can only hope this iteration of central government will do more than the last. Because along with the former Health Minister’s pathetic rebuke of a public call for action, there have been other issues and concerns with how government departments have been approaching and handling the mental health of New Zealanders. And ultimately, this isn’t just a big, governmental issue. It’s up to all of us as a nation to look after each other. If you’re feeling down or depressed speak up. If you see someone struggling, offer them a hand, a shoulder, or a few minutes of your time. This is, from memory, the ninth time Mrs in Frame has composed a special menu for the “12 Days of Christmas”. Each year we alternate between the traditional (Partridge in a Pear Tree) and New Zealand (“Pukeko in a Ponga Tree”) versions of the Christmas carol. This year it was the turn of the traditional version. Wherever possible she tries to tie in part of the carol lyrics to the dish – i.e. “Partridge in a Pear Tree” will usually contain pears or some kind of bird reference to some degree. Due to the rather prolific recurrence of birds in the traditional carol (Partridges, Turtle Doves, French Hens, Swans, Geese..), there may also be some sort of alliteration or similar tie-in, otherwise we might as well have the “Twelve Days of KFC”…. When all else fails, a fair chunk of artistic license is brought in. It really takes a fair bit of dedication and imagination to pull off! I’ll do my best to explain the theory behind each dish as we go. Meal: Spaghetti Nests with Bocconcini ‘Eggs’! Reasoning: Reasonably straight forward, first up – The Partridge would nest in the Pear Tree, so here’s a nest with “eggs” in it! Meal: Turtle Bean and Quinoa Risotto! Reasoning: Again, pretty easy – Turtle Beans replace the Turtle Doves! Meal: Comfit Chicken avec Sweet Corn Basil Veloute! Reasoning: The oats, Nuts and seeds in the Granolla would make perfect bird food for the Four Calling (“Colly”) Birds! Reasoning: After Poaching the Pears in Saffron overnight, the pears came out Golden and DELICIOUS! Meal: Rosewater and Pistachio Cupcakes with Persian Fairy Floss and Scorched Almond “Eggs”! Reasoning: Mrs in Frame came down sick mid way through the Twelve Days, so I had to step in and help out – Making the cupcakes and the soup in the dish that follows. I must say the Rosewater was a lovely addition to the ground Pistachios in the Cupcakes. The Persian Fairy Floss kept with the Arabic Rosewater theme and made a great nest for the Scorched Almond “Goose Eggs”! Meal: Panna Cotta (Swimming) in Strawberry Soup! Reasoning: The Panna Cotta represents a white Swan Swimming across a lake. Admittedly, the lake would not usually be Strawberry red, but it went BEAUTIFULLY with the Panna Cotta! Meal: Cheesy, Creamy Vegetable Lasagne! Reasoning: Focusing on the lactose aspect of the day – The Cheese and Cream that are the basis for this dish would likely have been acquired by a Maid-a-Milking! Meal: Steak and (Block-Rocking) Beets! Meal: Radish and Orange Salad with Pecorino! Reasoning: Ok, here’s where the artistic license is brought in: Charles Grey, British Prime Minister (1830-34) is quite possibly most widely known for the tea that bears his name and later title. But before he was “Earl Grey”, he was “Lord Howick” (1806-07). Lords, we are led to believe, like leaping and what better Lord to lead the leaping in relation to a Radish and Orange Salad than one who has tea featuring the Bergamot Orange named after him! Meal: Smoked Salmon and Cream Cheese Omelette! Reasoning: “Put that in your pipe it and smoke it!” The Salmon, like the OTHER sort of (non bag-)pipe is smoked! Meal: Goats’ Cheese, with Onion and Fig Chutneys, cherries and Bread Sticks! Reasoning: The round Goats’ Cheese represents the Drums, while the Bread Sticks are the Drum Sticks! So there we go, another year of deliciousness done and dusted! Many thanks to all the Facebook and Twitter friends and followers who liked and commented on the dishes! Wherever possible, we sourced ingredients from our own garden, the Napier and Hastings Farmers’ Markets, local greengrocers, butchers etc. For the more specialised ingredients, we went to Chantal, Gourmet Direct and Vetro – any Napier foodie’s best friends! Have a Merry Christmas and a safe and Happy 2018!